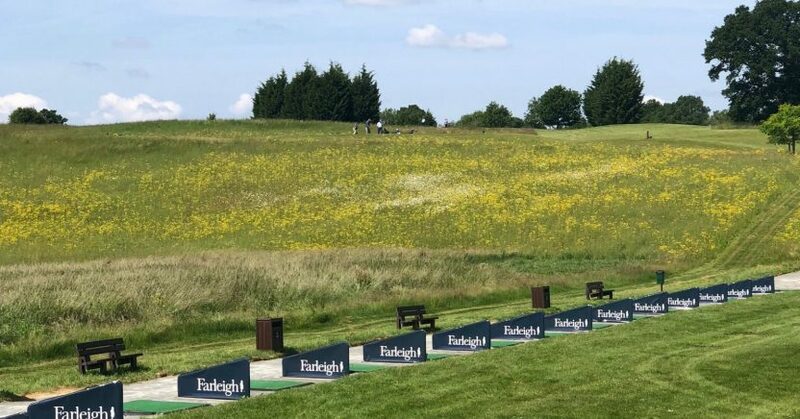 The 280-yard driving range, among the most inviting in Surrey with its setting in a natural valley, has seen major improvements in recent months which will see it stand up to the autumn and winter conditions like never before. Before the upgrade, practice sessions or lessons in the wetter weather were often hampered by sodden turf and muddy footwear. But it’s a different story now with a new hard standing area, teeing mats, bay dividers and targets to aim at, which has made a big difference in quality of practice. There are other factors which have contributed to the makeover of the 27-hole venue, which was designed by Ryder Cup legend John Jacobs, including a new front entrance and further investment in greenkeeping machinery, which will further raise the standards on the course.